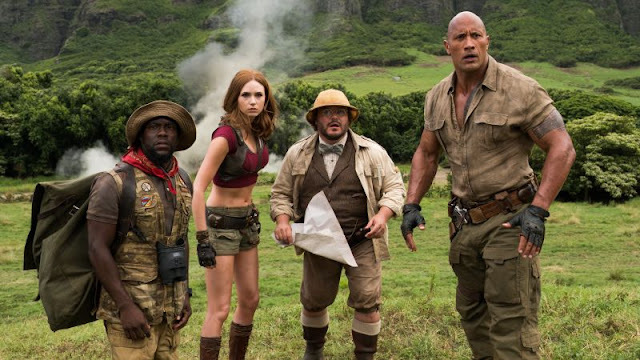 Jumanji: Welcome to the Jungle was the last film I was looking for a sequel to, but alas, here we are. It is updated to today's standards and starring The Rock, because you can't have a non-Marvel franchise without Dwayne Johnson. It's the law. Look it up. I wasn't expecting anything when I heard about it. Then the trailer dropped and that looked fun. Then I heard the reaction to it in my post-The-Last-Jedi-haze, so expected a little more. When I finally watched it, it turned out to be exactly what I expected - a fun, shallow, sterile, predictable adventure movie with a ton of heart. Continue reading below. Just Legends of Tomorrow and Black Lightningaired this week - and there were some interesting things in both. There will be spoilers for this week, so don't read unless you've seen the episode. I am feeling a bit under the weather, so I apologize for the quality of these; they weren't deep dives, more just a running commentary and some random thoughts on the episodes. There was no Arrow this week, but the rest of the episodes aired, and while some of it was filler, they all got something accomplished. Check out my breakdowns below, and as always beware of spoilers! 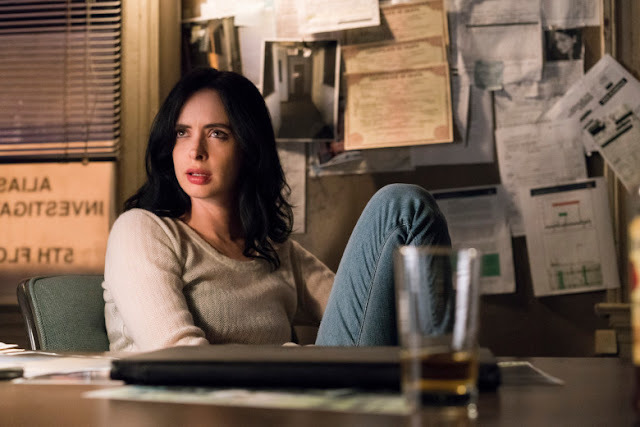 We last saw Jessica Jones be comic relief to all the superhero shenanigans that happened in The Defenders. But now she's back in a new solo adventure, and she is anything but comic relief. Continue reading to see my thoughts on one of the darkest, depressing entries in the Netflix corner of the Marvel universe. There will be SPOILERS. Some familiar faces returned this week to several shows! They are all shifting to turbo to cross the finish line of the season. There was a new member of the Legends joining the Waverider. There was an old friend who came back to Star City and three speedsters from three different Earths teamed up to stop a bomb! Continue reading to see my thoughts on all that went down and more. There will be spoilers for this week's episodes! To be a successful reboot, a new element or angle needs to be brought to it. Take True Grit for example. Both the John Wayne version and the Jeff Bridges version are fantastic, because they bring a lot of different elements to the same story. 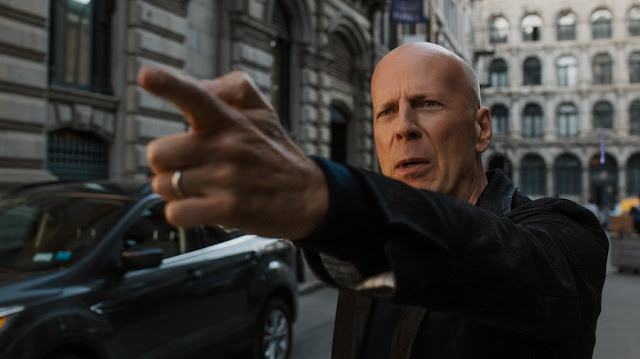 Bruce Willis stars in a remake of the Charles Bronson film Death Wish. Continue reading to see how it handled the reboot formula. 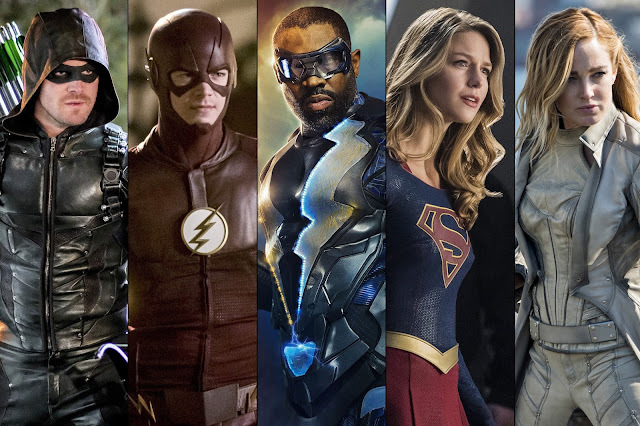 This week has the Arrowverse back at full strength! Supergirl is still in the trade off with Legends, but everything else is back with a vengeance! A lot happened this week as they are gearing up for the tail end of their seasons, so continue below to see my thoughts on each episode. There will be spoilers for this week's episodes. (Spoilers for future episodes have been censored, so you have to highlight to see them).